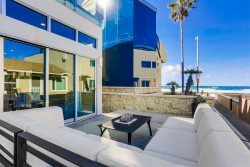 With its great weather, miles of sandy beaches, and major attractions, San Diego is known as one of the top vacation rental destinations in the country! Here you will find world class dining and shopping, spectacular scenery, and more attractions and things to do than you can imagine! Besides everything to so in San Diego County, you are a short drive from winter skiing in the local mountains, day trips to Mexico, the desert, and only 2 hours from Los Angeles. We invite you to contact one of our friendly Vacation Planners who will help you find just the right vacation rental in just the right spot to take advantage of everything San Diego has to offer.